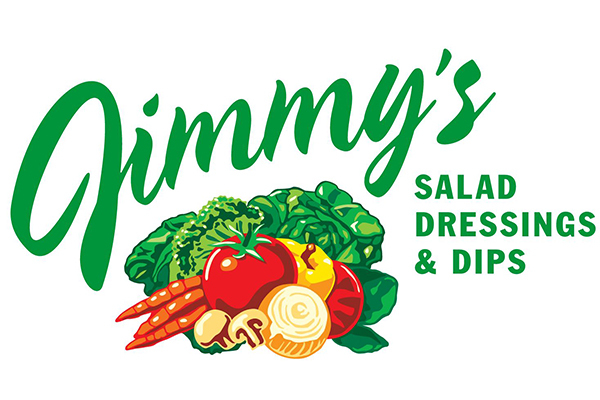 In 1990, Jimmy’s son Tom, purchased the salad dressing business and renamed it Jimmy’s Salad Dressing & Dips, as a tribute to his father and the creator of the original recipes. Since its inception, Jimmy’s has always been committed to producing the highest quality dressings and dips. Jimmy’s makes everything in small batches using only the highest quality, freshest, and best tasting ingredients possible with nothing artificial, no preservatives and zero trans fat. This is why you will always find Jimmy’s in the produce section next to the fresh fruits and vegetables. Every person at Jimmy’s has the same passion and commitment to bring your family the very best products available. Jimmy’s strives to exceed customer’s expectations with their dressings and dips taste, quality and use of fresh ingredients. You can learn more by visiting jimmysdressing.com or follow them on Facebook.